I think I caught the bread making bug. And I like it. For years, I was scared of baking bread. I had a horrifying experience trying to make 100% whole grain spelt bread that came out flat as a pancake. 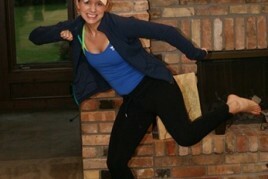 I didn’t think I would ever recover from that and I assumed that I just wasn’t bread baker material. This week I realized that while there are some rules that you need to follow, it really isn’t that hard at all! Most of the work is ‘hands off’ while you are letting the dough rise and you can do other things, such as weird photoshoots in the woods or watching NCIS with your cat. My next conquest was a Garlic Knot. I was a bit scared about making bread into knots, but it turned out to be so easy I almost laughed when I made them. Repeat after me: I will put my bread making fears aside and give bread baking another chance. 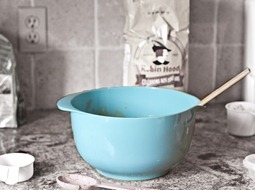 Directions: In a large bowl, mix together your dry ingredients (flour, salt, yeast, dried herbs). In a smaller bowl, mix together the wet ingredients (syrup, pumpkin, olive oil). Once those are mixed quickly add in your very warm water and mix well. Pour into the dry ingredients and stir well. 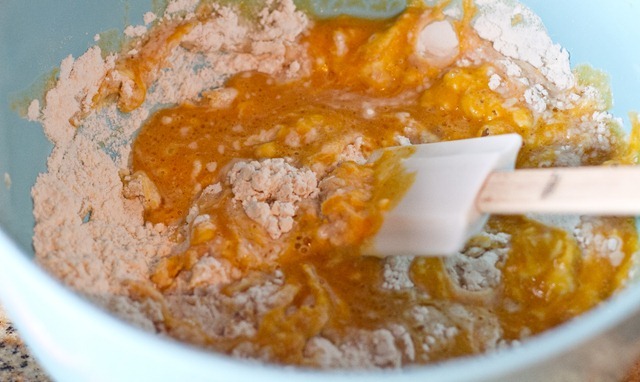 When the mixture becomes too dry to stir, place the dough onto a floured surface and knead it for 2-3 minutes until it comes together into a ball. 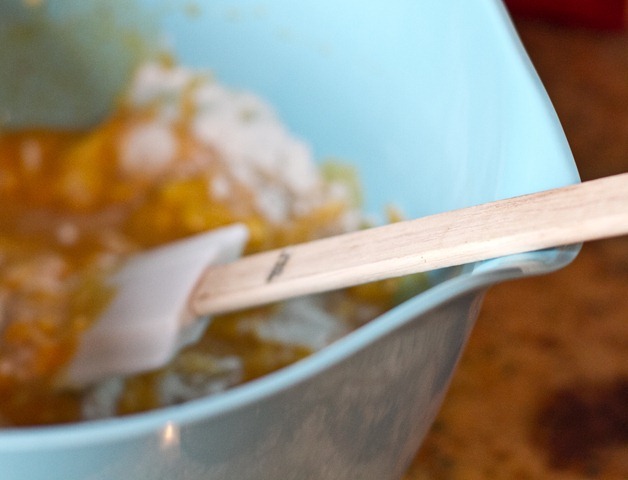 You will need to add quite a bit of flour since the dough is quite sticky from the pumpkin. 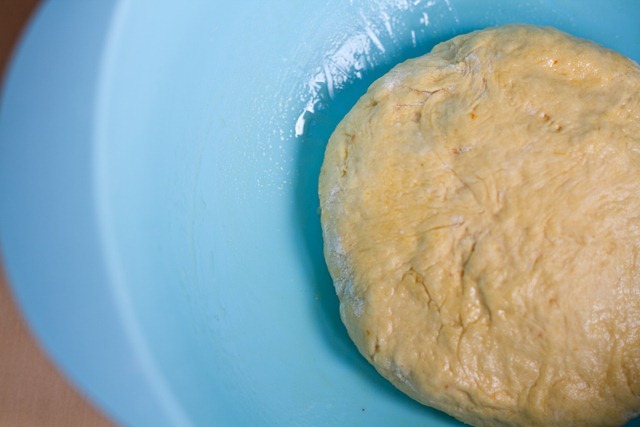 When the dough is no longer tacky to touch (but not dried out), place it into an oiled bowl with olive oil and gently cover the dough in oil. Cover the bowl with plastic wrap or a damp towel and let it rise for 2 hours. After 1 and a half hours, grab your pizza stone if you have one, and preheat it in the oven at 450F. If you don’t have a pizza stone, grab a baking sheet and line it with a non-stick mat or parchment. If you are using a pizza stone, grab a Peel and sprinkle on cornmeal. 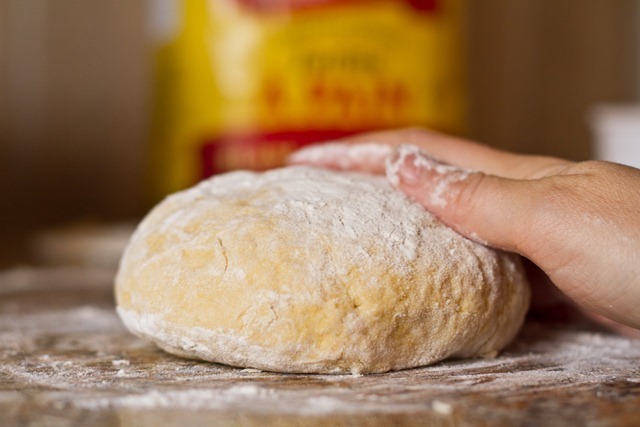 After 2 hours, take your dough, punch out the air, and lay it on a floured surface. Gently press it out so that it forms a small rectangle and then take a pizza roller and cut strips approx. 1/2-3/4” width by 6-8 inches in length. You can make them any size you want though! I had to play around with it for a bit to see what I liked. Grab a strip and make it into a knot. You can tuck the ends back into the centre or leave them hanging (I left them hanging). Place the knots onto the Peel OR onto the baking sheet. Once you have all your knots made, place into the oven at 450F for about 11-12 minutes until slightly golden on the top. Spread on the herbed garlic spread with a pastry brush or add all ingredients into a bowl and toss. Serve immediately. I didn’t have to tell you that right? Makes approx. 14 small knots. 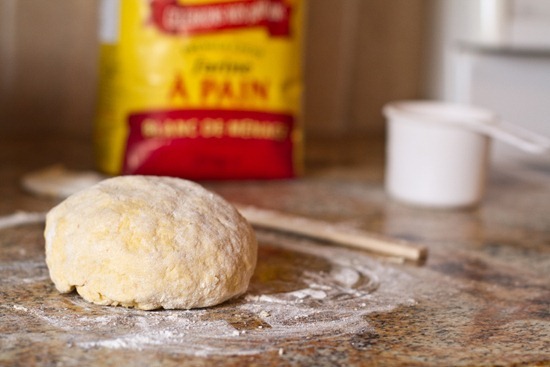 You can also double this recipe and freeze half of the dough for later. A word about the pumpkin– I didn’t notice the taste in the knots. Next time I might leave it out or you can also try adding some spices like cinnamon, nutmeg, etc to try and bring out the flavour a bit more. Now let the yeast do the work and let it rise for 2 hours. Or five if you are like me (I got busy & distracted!). 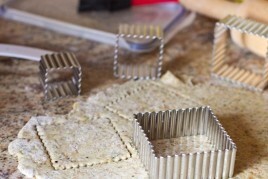 Flatten the dough into a small rectangle and then cut into strips. Take a strip and simply tie into a knot. You are done! You can play around with how big you like them. I made some larger ones too, but I didn’t find they looked as cute as the itty bitty ones. Bake at 450F for 11-12 minutes (that was on a pizza stone so I am not sure if the time will vary on a baking sheet). Note: Don’t spread on the garlic mixture until after it comes out of the oven. The Herbed Garlic spread is out of this world. I highly suggest making it. 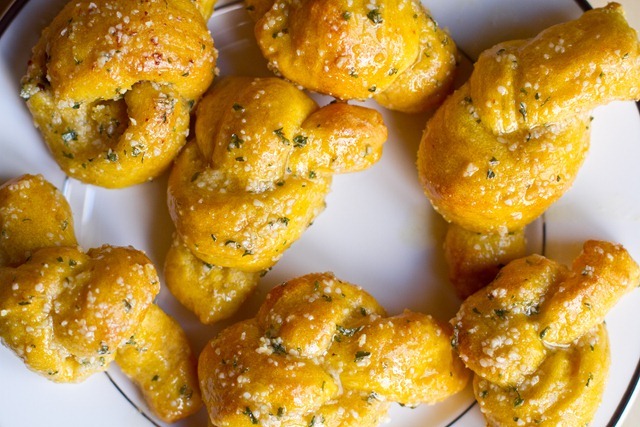 The vegan parmesan cheese, Earth Balance, minced garlic, and herbs really made the knots come alive. This was one of the first things I have made in a while where Eric did not mention anything about chocolate! Success. I love multigrain bread with TONS of seeds on it, so that is certainly on my list to bake. I also would love to make a pumpernickel bread and make a homemade vegan spinach dip inside it. Mmmmm. These are SO adorable! Perfect for a fall-themed party! I love homemade bead but have never made my own. Bread is certainly one of those fear foods that I feel like I would certainly mess up if I tried to make it. Yum, I also have the neverhomemaker recipe bookmarked and this just reminded me I need to get on that! These looks sooo good…. I also adore seedy bread! My favorite kind of bread is the same as yours–ones with lots of seeds in it! 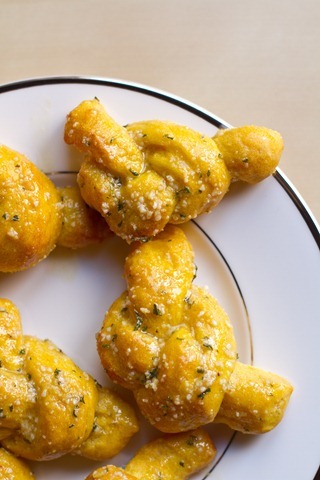 the combo of pumpkin, garlic and parma sounds like a party in my mouth. Angela — They’re beautiful! Glad you liked them. Yum! I recently got over my fear of baking bread (well, I’m in the process!) and love that you always have the basic ingredients on hand, AND that you can do something for two hours or five in your case :) I used to think it was restrictive because of the rising time, but turns out, you can do lots of other things while it’s doing it’s magic! I’ve only made one kind of bread: Artisan Bread. You can leave the batch of dough in your fridge for a week or two, and just make loaves when you feel like it :) It’s also good for grilling pizza! Homemade bread is the best — but the few times I have made it have been disasters. The first time, the bread weighed about 10 lbs! It was really bad. Angela I love how these look! Anything with a garlic spread on top is right up my alley. Those are so pretty. I love the color. My favorite bread is a fresh loaf of French bread. With a little cheese (and wine, naturally) it’s perfect. My favourite bread is also really seedy multigrain bread. Right now I’m loving Rudolph’s Bakery Bavarian multigrain bread from Loblaws. Oh how I wish I had some of those! They look delicious. Believe it or not, I am NOT a huge bread fan. I can take it or leave it. I’d rather have more rich desserts than bread! Even if you didn’t notice the pumpkin, at least it was another way to get some veggies in! Very true! =) I didnt think of that. these look so warm and wonderful!! mmmmmmmmmm! your pictures are improving more and more everyday! they look great angela! 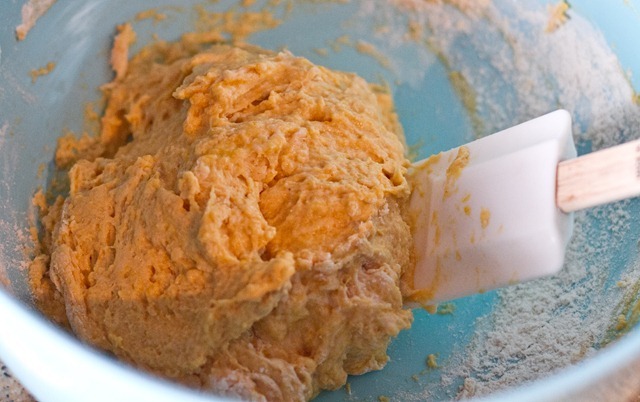 What about experimenting with gluten free flours – like brown rice flour? Or buckwheat flour? Yum! Those are a perfect fall-themed side. You MUST make vegan spinach (artichoke) dip! 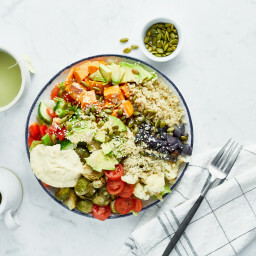 Pre-vegan, I would devour that often. This bread looks delicious. I love soda bread and pumpernickel bread! Since being diagnosed with celiac, I don’t have a favorite kind of bread! I have never tried to make my own bread, but the gluten-free bread in the store is insanely expensive! I just might have to try. Although baking gluten-free bread doesn’t sound that easy! So cute! They remind me of crescent rolls, only healthier! My favorite type of bread is foccacia, especially with rosemary. I have it at least once a month as a splurge from the Whole Foods sandwich bar. Actually, I think it’s pretty awesome that you can’t taste the pumpkin. What a great way to add a little fiber and tons of vitamin A into your bread, right?! Speaking of pumpkin you can’t taste, after having leftover pumpkin from making pumpkin spice lattes (and then just pumpkin spice coffee–mix a spoonful of pumpkin and a dash of pumpkin spice into your coffee–yum!) I started adding a big scoop into my green monsters, and can’t taste it there, either. But again, I figure an extra vitamin/fiber kick can’t hurt! I love any type of homemade bread. If it’s fresh and hot I can’t resist. I can pass up store bought stuff and sandwich bread but otherwise I could live on bread and water. This may be the best recipe you have ever created! Every time I’ve tried to ake something with yeast it never rises. I don’t know why, but I can’t succeed and don’t know what to try differently. Your garlic pumpkin knots look amazing! I’m a big fan french baguette. I love the hard crust and the soft chewy middle! They’re so cute!! And undoubtably tasty. I’ve never though of garlic and pumpkin together..but I bet it’s good! challah bread. i love the sweet yeastiness of it! Rosemary thyme focaccia is pretty awesome as is pumpernickle. You can send me those delish garlic knots though! Oh yea that is on my list too. I looked up a recipe the other day and was SO overwhelmed by all the steps though! i used to love these guys from our local pizzeria growing up. haven’t had them in years but i may need to make them now! 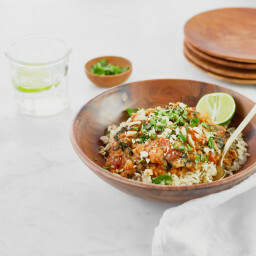 if i ate grains i’d be all over this haha but i’m really warming up to the idea of using pumpkin in the savory context! Oh heavens…I am SO AFRAID of making bread. But, I think you had me hooked when you said I could watch NCIS in between. Huge fan! OMG! I want one of those NOW :D :D I swear I say this every day, but these look SO GOOD !! Anything with garlic… and I am IN. …add some pumpkin… oh no you DIDN’T HEHE! It’s OK to be scurred!!! That looks delicious! I’ve tried to make my own bread a few times but I think I kill the yeast. One of these days I’ll try again. Last year for Xmas I got my boyfriend a bread baking cookbook. When we finish the kitchen remodel it’s our first thing to do. I just wanted to randomly share that after a few months of following your blog, I decided to start running again… All because of your little inspirational self. Do I love it (the running, that is), not so much ;) But, I’m going to give it some time and maybe, just maybe, it will catch on. Thanks again for always sharing such wonderfulness! They look so cute! My boyfriend and I adore Pumpkin anything. I made your sweet potato dip with additional pumpkin and it was great! I think these would make an excellent accompaniment to it. Plus, I also just made your pizza, and power me up pumpkin cookies. You are making the transition into becoming a vegan very easy…. and my family certainly thanks you! I just bought a loaf of Great Harvest honey whole wheat and it is FAST becomming my favorite bread! 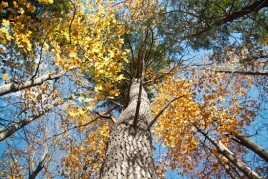 I love the fresh scent and the dense, doughy texture :). I love all kinds of bread, so I’m not sure that I can pick a favorite. One of my favorites to make is Anadama, a classic New England bread made with some molasses and cornmeal. It has a very earthy flavor. Oh that looks SO good! My favorite bread is actually the gluten free sandwich loaf I make at home. It’s delicious! Your photos are always wonderful!!! 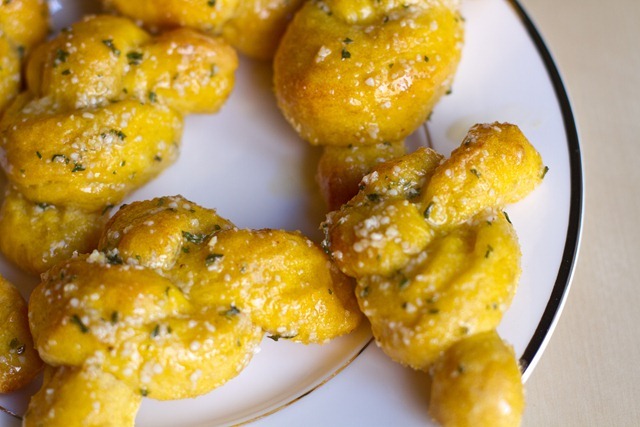 I used to LOVE garlic knots. These look so, so delicious. Hi Angela! I just started reading your blog and I’m hooked! I’m not vegan (or even vegetarian) but on a journey to healthier eating with the husband and kids kicking and screaming behind me. I am taking baby steps in the hope that they will not be noticeable to anyone and they will become my “unwilling converts” without knowing! My question is about chia-eggs. Can I substitute a real egg? My in-laws have chickens and we almost always have an abundance of fresh eggs (organic and “roam around” kind of chicken eggs). Thanks!! Those look unreal! And your pictures are just awesome in this post, too! I love homemade sourdough. Itt is really hard to keep the starter alive though. Wow, pwefect knots, look lovely! I make a very similar recipe using mashed sweet potatoes, really good! Those would be perfect for a party or served with some pumpkin soup. These look delicious! I need to embrace baking more. My fav is doughy seedy grain bread. Thankfully my mother raised on wheat bread, not white, so I’ve never had a problem with it! Yum! Those look good and perfect for fall. I love bread and some of my favorites are multigrain, cinnamon raisin, and pumpkin banana. I love dense or doughy breads with lots of substance and things going on. And FRESH! I don’t eat bread that often, but when I do, there is this focaccia from a local bakery that is amazing! It had caramelized onions, parmesan and sea salt on top and it is just so drool worthy. These look so good! Especially with the pumpkin. That was just genius. I love sourdough, especially rosemary olive sourdough. But I’m with you on multigrain with lots of seeds, too! Bread, oh my. I used to eat bread as a kid and when I was in my early 20s it became evident that gluten was not my friend. After going thru withdrawals and eliminating it, I havent missed it in the past 5 yrs…I never even buy (or make) GF bread. I do make lil GF muffins and stuff but ok, I lied, a really seedy, oatey, hearty, full-of-texture bread…that’s where it’s at. But most GF breads are just like bland cardboard. LOL. So I dont bother buying them…or making them….maybe I need to start! My favorite is my family’s Honey-Molasses Whole Wheat Bread, made from scratch and the wheat is picked right from our own fields =). Sometimes we don’t grind the wheat up as much so it has a more grainy texture, mmmm! Hooooooly crap, those looks fantastic! Angela, they are so pretty! It makes me feel better to know that I am not the only one with a bread making fear. After some self-analysis, I have come to the conclusion that my fear is rooted in my mother always telling me how hard it is to “make good bread”. You’ve given me some confidence! I love homemade foccacia, raisin cinnamon, and wholewheat loaves. I grew up on 100% homemade bread and started baking it when I was little. I remember thinking store-bought toast looked so skinny and funny. I buy bread now for everyday things, the dense seedy kind, but still bake for fun. 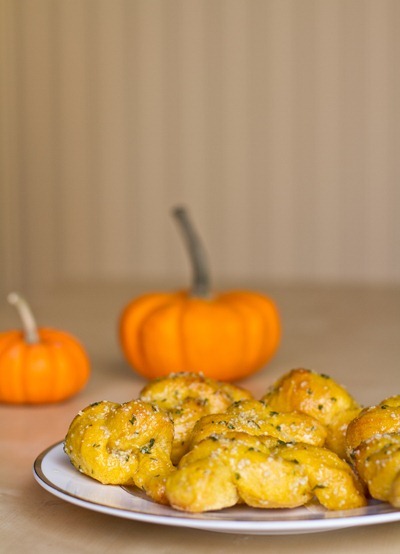 I’ve got your dinner rolls that I adapted with some herb and garlic butter in the oven right now! Smells delish. I’ll have to try your new recipe too. Those look so good…I am sure they pull apart and just melt in your mouth…Mmmm! My fav. bread is anything grainy and wheaty…lots of fibre! Whole wheat bread does not really exit here in Korea…saddest thing ever!! Pretzels are cool…but Cinnamonbuns are were it’s at!! Isn’t making bread so satisfying? I love when it rises successfully, and then punching it down is fun, and watching it get nice and golden in the oven. And of course nothing beats warm, freshly baked bread. If you’re interested in baking more bread I’d suggest looking into the Tassajara Bread Book. It’s basically a really detailed, kind of hippie, bread bible. It’s how I started, and they’ve got some great recipes! Anyway I really like your blog, and thanks for posting all these great recipes and health advice and inspiration and everything! Yum! So cute. I love multigrain bread, dark rye and sourdough. I make spelt, sprouted whole wheat with a little bit of Prairie Gold (hard white winter wheat), it is sooooooo good! I have made all my own bread for about 15 years now, I HATE store bread!! Those are cute little knots!!! I am so excited that you are going to FoodBuzz!!!! I am glad other Canadians will be there :-) When do you fly in? I love pumpernickle bread and I prefer homemade breads!! I have only recently started playing around with baking my own yeast breads. I usually would always just buy my breads from the bakery! Are you kidding? If you didnt post pictures I would have had trouble beliving you! :-) These are the definition of EPIC! I just made it today and let me tell you… they did not stay in the tray for more than 2 hours! I’ll post the pictures on my blog next week. Yum, those knots look really good! I swapped the herbs and salt for a little sugar and pumpkin pie spice, the olive oil for canola oil, and added a little more pumpkin (and consequently, a little more flour). Then, instead of a garlic butter glaze, I went with a cinnamon and maple syrup sauce. Yummmmmm. Challah bread! That’s my favorite… but have never tried for fear of failing. How on earth to vegan-ize an egg bread? That might be a challenge suitable only for OSG herself. Just got finished trialing these for Thanksgiving- okay, it is gloomy here and I just wanted some bread!–and these are amazing! My son and I almost polished off the whole batch! Wow, we’ll probably regret that later…but maybe not– they are THAT good. My girls and I just made a double batch and am waiting for the dough to rise. Was going to freeze half of the dough and then remembered that yeast doughs typically don’t freeze well. Have you tried to freeze the dough with success? Hi Angela! Any or experience/success freezing these? Hi Michelle, I haven’t tried before, so I wouldn’t know what to expect. Let me know if you do try it! Is there any way to freeze the dough so you can make these ahead? And/or if you can’t serve them immediately, what happens? Do you think these could be frozen and made ahead of time for Thanksgiving? Thanks! Hi Angela! 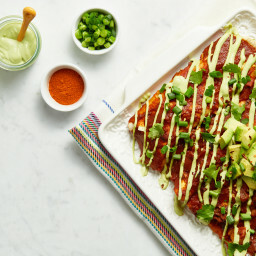 These look amazing, but I was wondering what you would suggest to make them gluten-free? I’m unsure of what sort of gluten-free flour would work the best. Ari, I just tried Bob’s Red Mill Biscuit and Bread mix, and it kinda works… couldn’t really tie the knot, so to speak (very crumbly). I have an All-Purpose mix of his that I feel would do better based on some other experiments I’ve done today. The Yorkshire Puddings I made earlier with it were excellent. Hope that helps! Okay now you out-did yourself! I haven’t had this kind of flavor since being vegan- these were amazing. I didn’t think you could really taste the pumpkin either, but loved the color of them. We couldn’t find vegan parmesan cheese- but they were just as good without. One of my brothers thought they tasted like garlic hot pretzels! I will def make these again and again, so easy too! Thank you!! I was intimidated by this recipe because I have never made bread before, never mind knots BUT I am so glad I made these. It was super easy and amazing!! I’m not even embarrassed to say that we ate 10 between the two of us. They taste a hundred times better than regular garlic bread. No pumpkin taste but I’ll keep adding it for nutritional benefits. Thanks so much!! 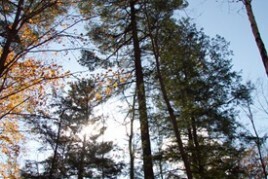 You are a breath of fresh air ! Your recipes are easy to read and great to eat ! This looks great.Is it possible to make the dough a day before I want to actually bake it? If so how would I go about doing so? Made these to go with lasagna for dinner. They were the hit of the party and unbelievably easy. I made the dough, covered it and stuck it right into the fridge for the night. The next day, I put them into my warming oven for 45 minutes and made the knots. This morning, I made the sweet version using pumpkin pie spice and covering them with cinnamon and turbinado sugar before baking. Again, a hit. Thanks so much. I’ve made these many times with great success! (Read: my guests and I all stuffing our faces and groaning with pleasure). However, I cannot for the life of me figure out how to take this show on the road…I’ve tried bringing the dough and knotting and baking them at my destination but the dough sank :( Also prepping them at home and baking them there didn’t really fly either. They’re SO good fresh from the oven! But how to share them away from home without doing all the steps in someone else’s kitchen? Stumped. Just found this recipe and you had me at three points. My question is can I use whole wheat flour, I know it maybe more dense etc. But maybe you can advise me at to what ratio white to whole wheat would work? Didn’t want to assume, but will regular unbleached white flour work? Will be using the combo of whole wheat and white if you think its gonna be fine. Just wanted to confirm its NOT bread flour I’m gonna be using.